Bali naturally prospers in coastal cuisines. One could find some of the freshest catches at seaside warungs and enjoy a local seafood feast to the sunset. 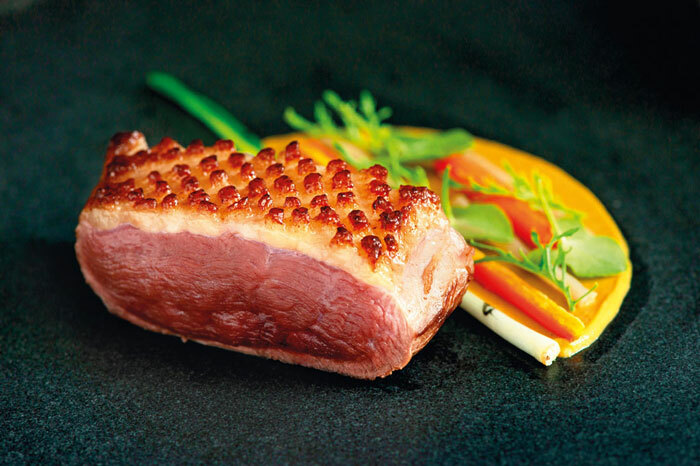 Jimbaran is no doubt the island’s favourite stop for a sumptuous repast; a point to feed your piscine appetite without having to break the bank. If you have been there/done that, however, take a look at the other end of Bali’s seafood scene to elevate your tastebuds and overall island experience. 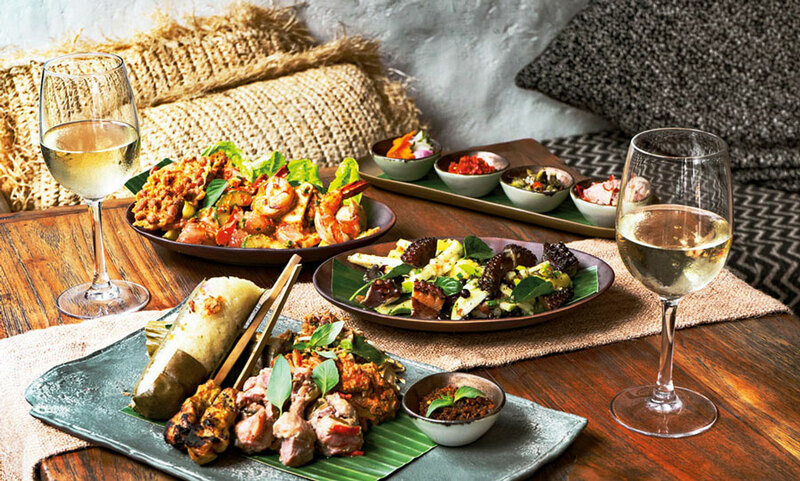 Copper Kitchen, Bar & Rooftop dishes up authentic and inspired blend of flavours that have always brought people to Ubud. 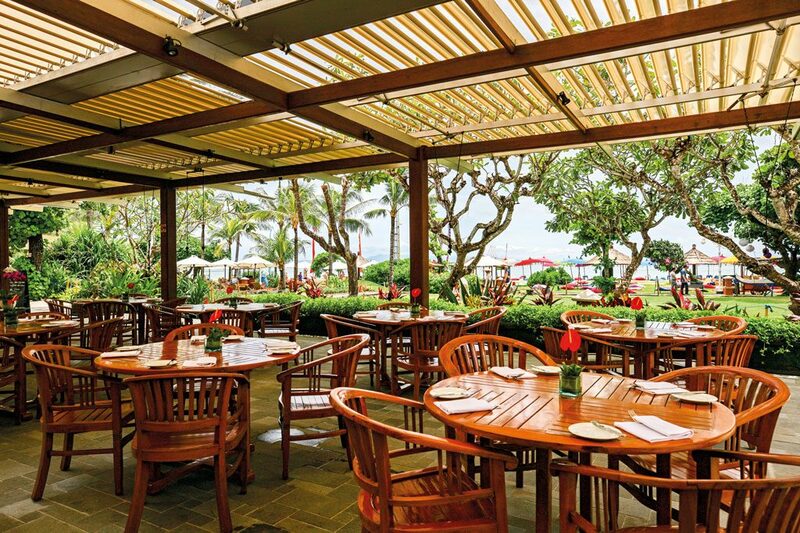 With international-Asian culinary traditions combined with locally grown and ethically sourced produce, the food at Copper is thoughtful and features authentic and natural dining options with a generous amount of produce coming from the restaurant’s own earth-friendly farm down the road, Bali’s regional pastures, forests, and of course, the sea! 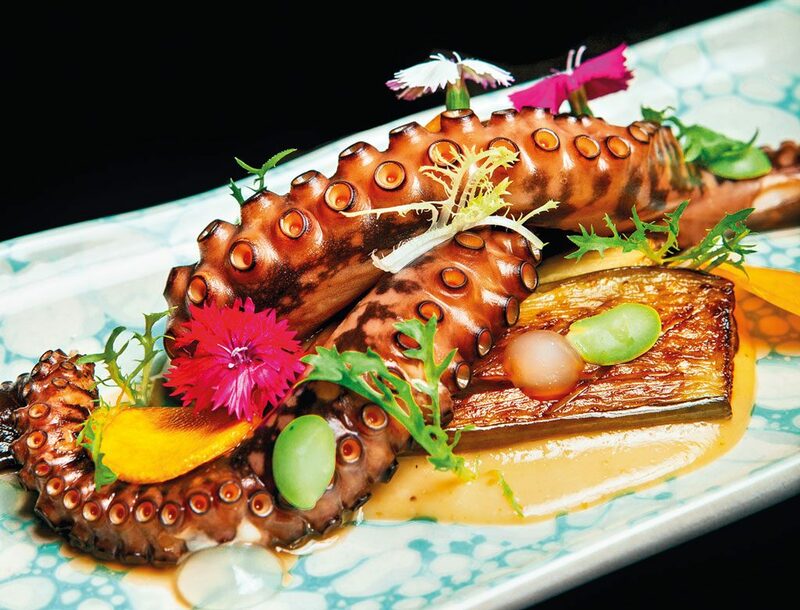 Paying homage to the great, vast ocean, the restaurant dishes up a number of splendid creations such as Pan Fried Black Pepper Shrimp, Blue Swimmer Crab and Saffron Escabeche, Marinated Yellow Fin Tuna, and more. In addition to the daily seafood menu, Folk has also been attracting a steady flow of satisfied diners with its Seafood Night on Saturdays, where foodies can indulge in the freshest that the sea provides. W Bali Seminyak’s most fashionable seaside restaurant brings flavours of the sea to your table by combining Pan-Asian with a Western twist. Starfish Bloo sits overlooking Seminyak beach, all in the name of Bali’s bountiful and fresh seafood, exotic fruits, herbs, and vegetables. The culinary journey was inspired by the team’s personal voyage to unwrap Indonesia’s vibrant cuisines and celebrate the flavours they encountered in from seafood markets to rice fields in Java. The dishes stay true to the Asian fusion nature of the restaurant but highlight authentic Indonesian tastes with modern hints. 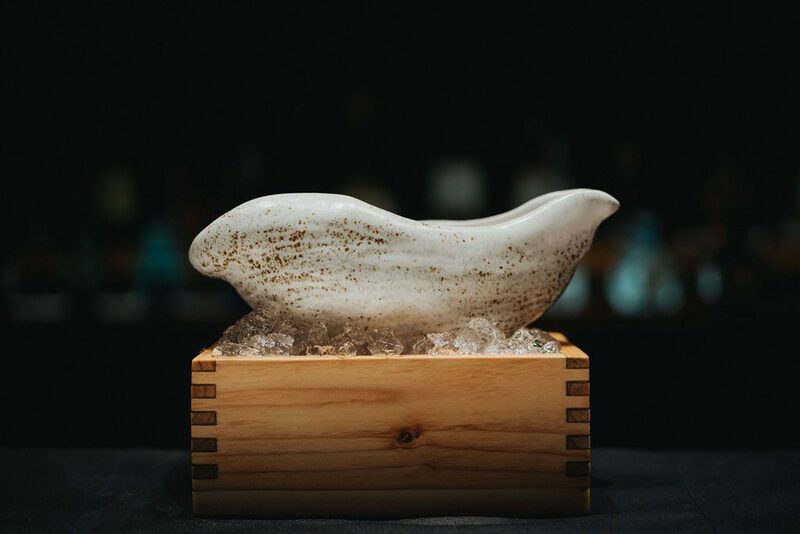 From the unique oversized booths evoking giant lobster traps, the perfectly curated à la carte plates and designer cocktails, you’ll thank the culinary brains behind Starfish Bloo. Supporting W Bali Seminyak’s sustainable business practices, the menu embraces local farmers and fishermen, using the finest local products sourced in the country. Starfish Bloo is open daily from 7 AM to 11 PM. Their lively Sunday “scene to be seen” brunch is the perfect finish to a weekend in Bali. 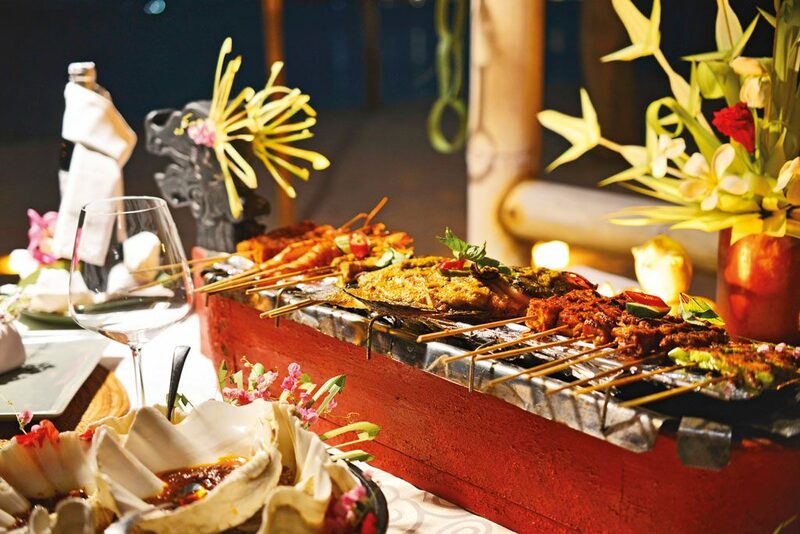 The Tugu Bali’s Full Moon BBQ will have you dine under the moonlight to the sound of the Indian Ocean waves. Be at one with nature with a selection of fresh ocean catches, from lobsters, king prawns, to squid. The fresh catches of the day are sourced from local fishermen on arrival from their night fishing trips – it is as fresh as it gets! The seafood is beautifully grilled, served with sambal matah the famous Balinese shallot dressing, sambal terasi a Javanese chili and shrimp sauce, sambal kecapmade from shallots and sweet soy sauce, lemon butter sauce, and a selection of other condiments that emphasise the flavours of the sea to your palate. Wrap up the feast with a fresh young coconut and a homemade tropical sorbet! In addition, the champion beachside view from Hotel Tugu will guarantee to elevate your senses. 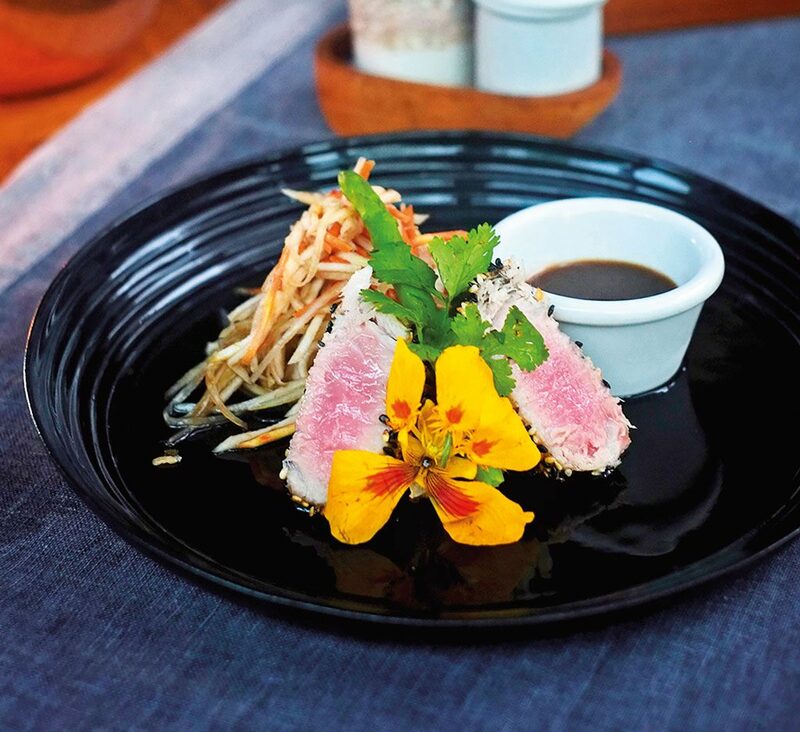 DiMare Restaurant and Karma Beach Club are getting an exciting international kick by Executive Chef Joseph Antonishek, marrying his dedication to local ingredients and traditional Balinese cooking with his North American experiences. The new menu involves bold flavours that will elevate the relaxed atmosphere of Karma’s private beach, nestled at the bottom of a cliff. Enjoy simple, light, and fresh Mediterranean-style fares, such as Grilled Octopus & Potato Salad, Salt Baked Whole Snapper to share, Wood Fired Oven Pizzas and Rolled Baklava with Coconut Gelato. Over at Karma Kandara’sDiMare Restaurant, guests can enjoy a European-Asian style dining experience, heavily influenced by local ingredients. Feast on the incredible views and a line up of dishes, including the Scallop Ceviche with Torch Ginger Flower and Pomelo made using cuka, Karma’s very own handmade vinegar; petai, also known as ‘stinky bean”, braised for hours in extra virgin olive oil with redbumbu and citrus before being served with grilled octopus. Finish off with DiMare’s homemade ice cream, all made from scratch. Jimbaran in south Bali is an active fishermen village that has been dubbed the hotspot for freshly-caught seafood. Spread across talcum-soft white sands, Belmond Jimbaran Puri’s newly refurbished Nelayan Restaurant and Puri Bar serve authentic Jimbaran grilled seafood experience away from the crowded, hazy restaurants. Guests and visitors are invited to laze on the beds of Puri Bar, admire the stunning sunset, and await the vibrant twilight as live entertainment welcome the evening, from acoustic bands to the traditional Balinese dance performance. Enjoy the Jimbaran Grilled Seafood Experience for Two and indulge in grilled baby lobster, baby squid, white fish, mussels, and king prawn served with seasonal vegetable, garlic butter and Hollandaise sauce. 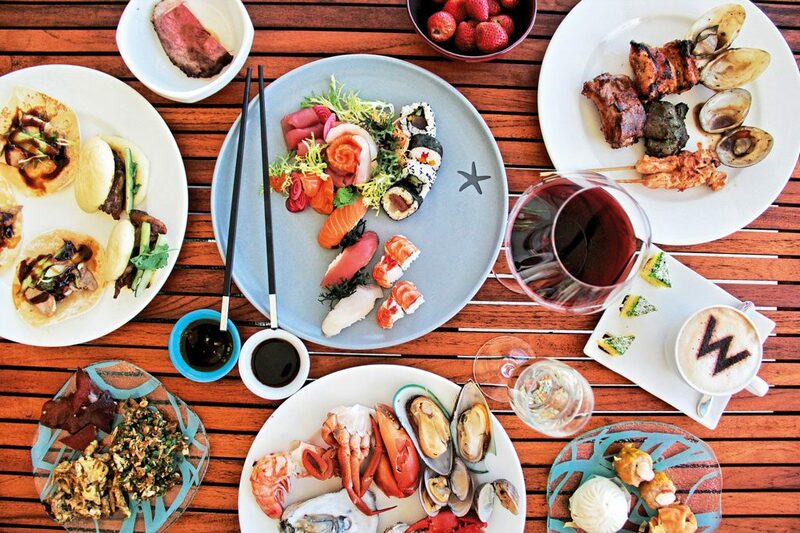 Alternatively, welcome the new dishes that tease fresh seafood in Asian herbs and spices, such as the likes of Bali Yellow Fin Tuna Loin, Slow Cooked Octopus Salad, White Fish Ceviche and Soft Shell Crab, Seared Tasmanian Salmon Fillet, and more. Puri Bar serves oriental-style refreshment daily between 11 AM to 11 PM. Nelayan Restaurant cooks luscious seafood and international meal for lunch and dinner from mid-day up to 10.30 PM. 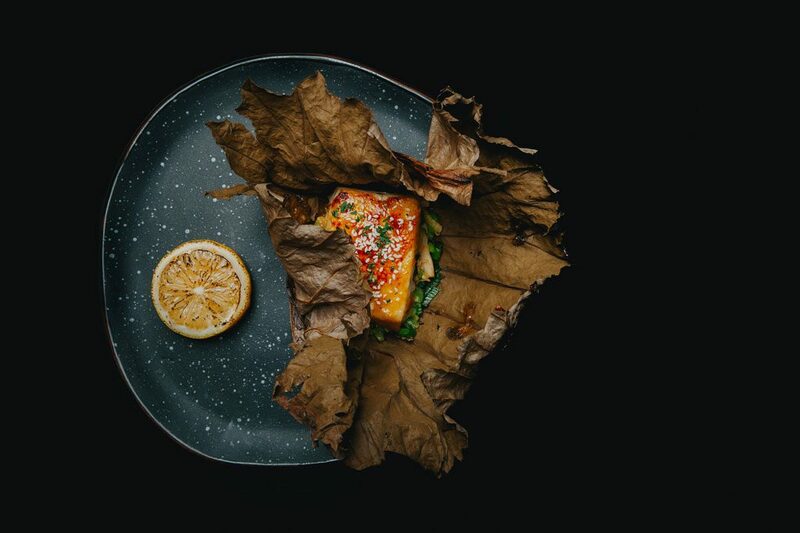 Seasalt is making new waves with their refined dinner menu. 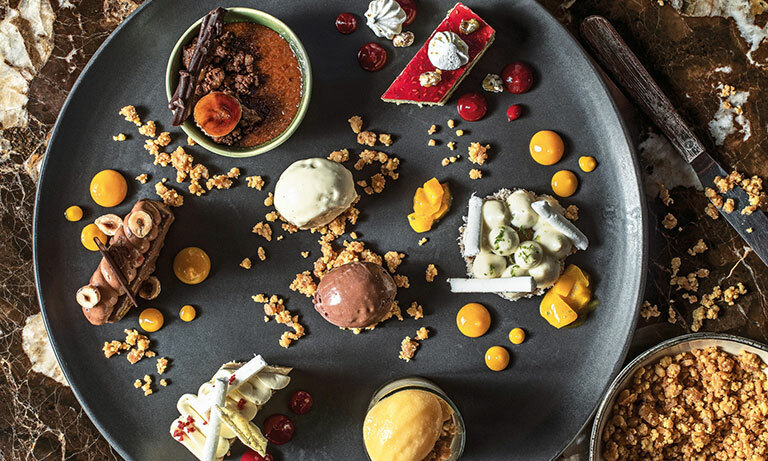 The AlilaSeminyak ocean-inspired restaurant has added fresh additions from flavoursome mains, decadent desserts, to a planet-friendly cocktail concept. The seafood at Seasalt is wild caught and sourced sustainably from the waters around Indonesia, in partnership with Bali Sustainable Seafood. Dishes are seasoned with traditional organic Kusumbasea salt from East Bali, where a small community of salt farmers continues a centuries-old tradition of producing 100% natural salt by sun and wind evaporation. Feast your eyes and tastebuds on creative fares, such as Bowl of Smoke, an elegant fish of black cod, moshio cracker, cured duck yolk, and coffee wood smoke; Off the Bone, spectacularly presented grilled barramundi with sun-dried miso tapenade, and sudachi emulsion; and Shell Pralines,inspired by shells on the beach! 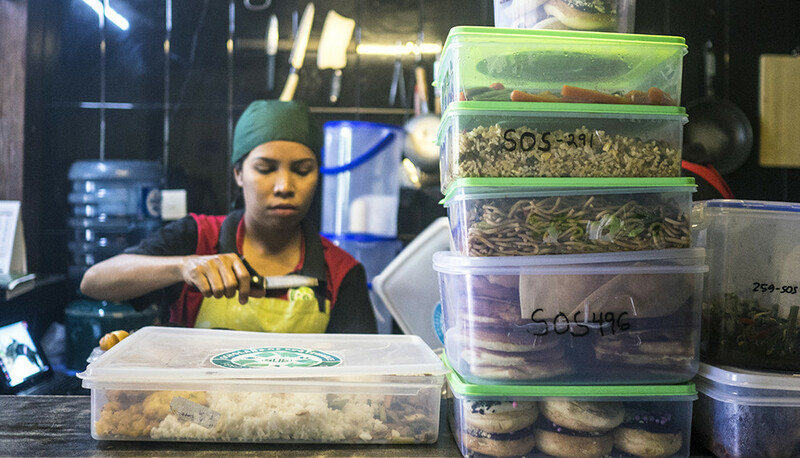 Seasalt takes pride in the launch of their sustainable, zero-waste concept behind the bar: reusing, fermenting, recycling, and up cycling ingredients into their cocktails that would otherwise be discarded as waste. The eco-chic cocktails are also ocean-inspired, using dried leftover fermented pineapple meat and other vibrant, tropical fruits. It will also be taking the lead as the first restaurant on the island to implement natural straws from sugarcane fibre waste – for a truly sustainable sip! 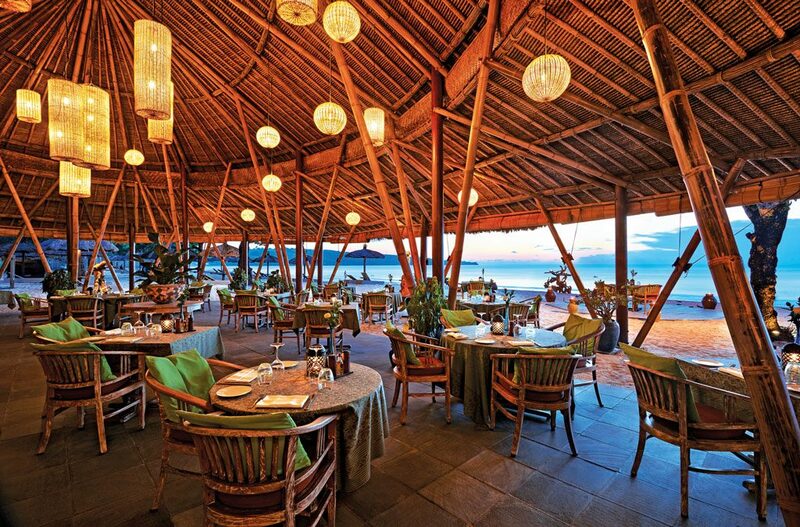 Long acknowledged as a leading five-star resort in Nusa Dua, Ayodya Resort Bali has gained and maintained a reputation for an international beachside dining destination in south Bali. The resort’s Lagoona Restaurant is housed within a charming Joglo-style dining room and located a stone’s throw away from Mengiat Beach. It is known to exude a beach club atmosphere by day and transforms into an intimate dining venue by night. 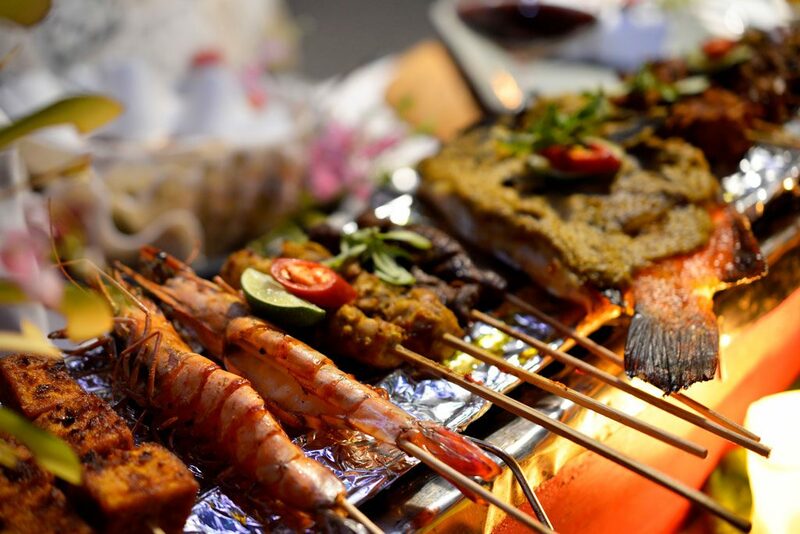 The premier beachfront restaurant features a selection of seafood lineups grilled to perfection at Lagoona’s iron grill station – a hot crowd pleaser – on top of quality BBQ items, such as beef brisket, pulled pork, and savoury sausages. Lagoona Restaurant is open for lunch and dinner to both in-house guests and hungry island visitors seeking to enjoy an affordable culinary outing on the shores of Nusa Dua. 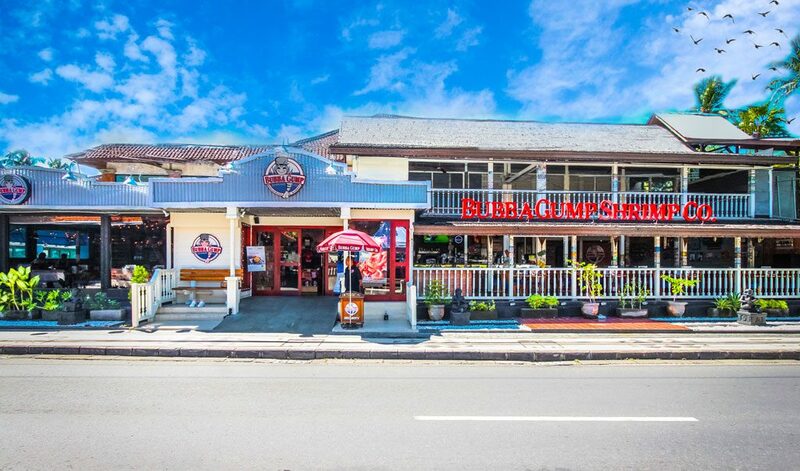 Bubba Gump Shrimp Co. is the first and only theme restaurant chain based on a smash-hit motion picture property “Forrest Gump” and it is recognised for its outstanding seafood. 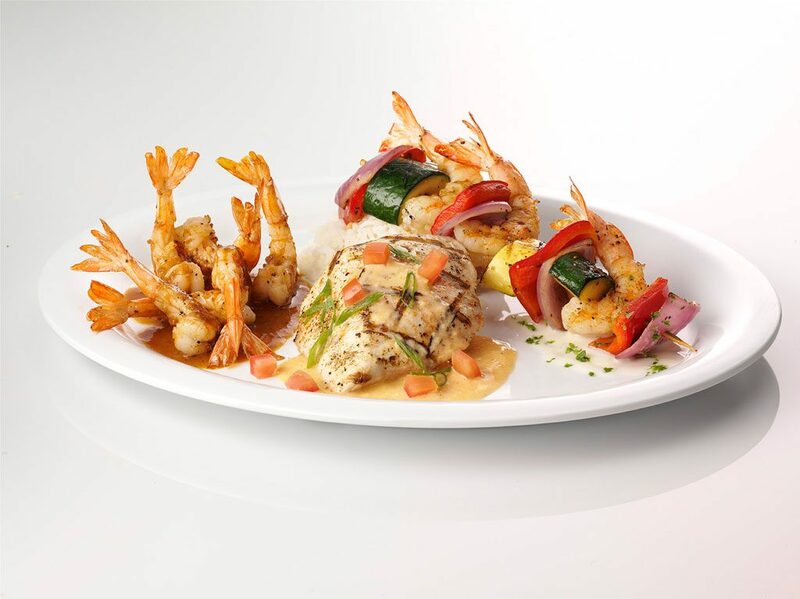 Making shrimp as the star of the show, the restaurant offers 19 different preparations in addition to an exciting variety of fish entrees, crisp salads, fun children’s meals, creative desserts, and award-winning ribs. Signature items include appetisers, such as Mama Gump’s Garlic Bread Basket, Shrimper’s Net Catch and Run Across America Sampler. 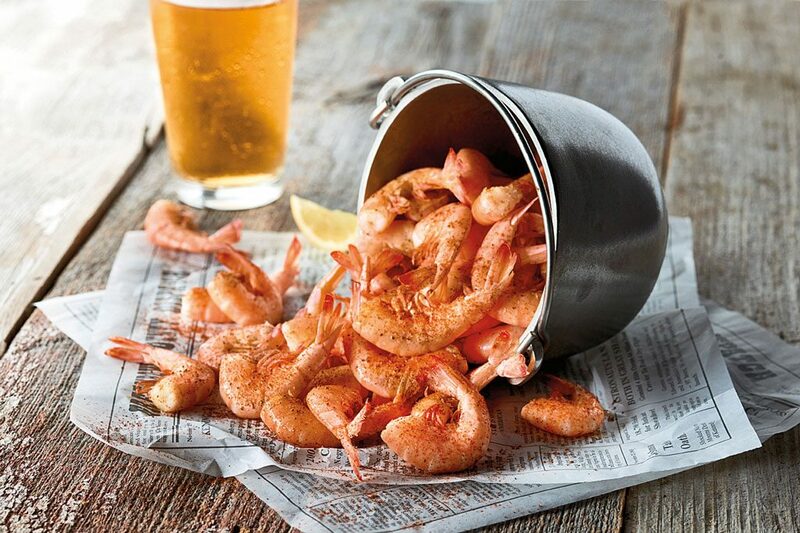 Entrees like the Bucket of Boat Trash featuring fried shrimp and soft-shell crab, Bourbon Street Tilapia, and Shrimp New Orleans are all equally tempting. The Bali chain offers a popular lineup of hand-shaken margaritas!